Digital Realty Austin 7500 Metro Center Drive Data Center is located at 7500 Metro Center Drive, Austin, TX, USA. The data center is 85688 sqft. The gross colocation space is not available for this data center. It has access to 16 MW of power. We found 22 data center locations within 50 miles of this facility. Certifications for this location include HIPAA, PCI-DSS, ISO 27001, SOC 2, SOC 3, NIST 800-53. 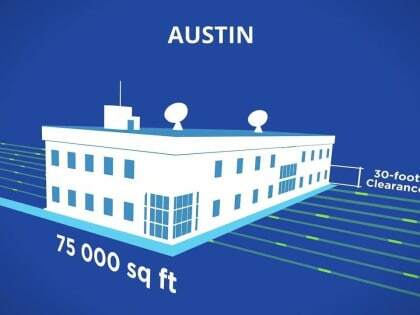 Digital Realty's data center at 7500 Metro Center Drive is in one of the hottest tech communities in the world, Austin—A city with global recognition for its high quality of life and dynamic high-tech economy. South by Southwest festival (SXSW) demonstrates Austin’s ability to enable convergence between creative and high-tech industries.